Along with many others, i am sure we can all agree that finding the balance between being a good person and still taking care of yourself can feel like a huge struggle sometimes. that I fail to do the things for myself that make me, me. It’s really easy to fall behind on self awareness the busier life gets. But it’s so so so so SO essential. And ladies, it’s not just making your appearance shine on the outside. No amount of makeup or fashion can cover up a bad attitude. Getting so caught up in everyone else around and not taking time for yourself at all can make your attitude extremely unhappy. When mama ain’t happy ain’t nobody happy right? We all swear by that saying in our house. Lord have mercy on your soul when mama has a bad day! ( hey, don’t judge me 😉 )For a high anxiety functioning human being like me, life can seem really messy at times. I worry a lot, stress a lot, and i overthink a lot. I have said it before and will say it again. I have a lot to work on, and I’m still a work in progress. I think I always will be. Even though It has never been my intention for my kids to see me unhappy, it happens. And me wanting to hide them from that is really no good at all. I want my children to know that it’s OK to have emotions to have fears or to be sad or angry. But, I also want to teach them to learn to overcome those fears and to deal with those feelings in the most positive way. The more experience in life I have had I have learned that It’s OK to have hiccups in life. It’s also OK to make mistakes. I think it’s important for us to know that so we don’t get so caught up in beating ourselves up for those mistakes. Just don’t keep making those same mistakes and going down the same road time after time which will eventually turn into a dead end or a roundabout of the same routine and/or negative emotions. The point in the matter is that you overcome and learn from those mistakes. Nobody achieves anything without first making a mistake and I really want my kids to know that. I don’t want to shelter them from experiencing all of the really real things in life– after all, life is all a learning experience anyways. Am I not right? If I can allow them to learn to deal with these things on their own, excluding the bad and damaging ones as best as I can, then i believe that I am helping them. Because the truth is, I won’t ever be able to always protect them. And they need to know how to deal with these things the best they can. With or without mamas help. and not just in my heart but in my soul. And the moments I have peace within myself and when I find the most answers are the times spent by myself and times spent with my Heavenly Father. And when I find myself in that place, I find that nothing else really matters. No ones opinions, none of my fear, and none of the crap in life we all deal with. Do you know who you are and where you came from? and start respecting and loving yourself the way you felt loved in that time. Maybe once you love yourself more it will be easier to love those around you more. Because I know there’s those of us who struggle with that. Once you start to love others for who they are you also start to accept people for their flaws, too. Especially when you accept your own. In the end, the most important thing is that you are doing what you feel is best for yourself and/or your children. Nothing else. All of the other bullsh*t comes after. We don’t realize how bad we need those moments to ourselves until we get them and it makes you feel like a whole new person, or at least the happy person you once knew. 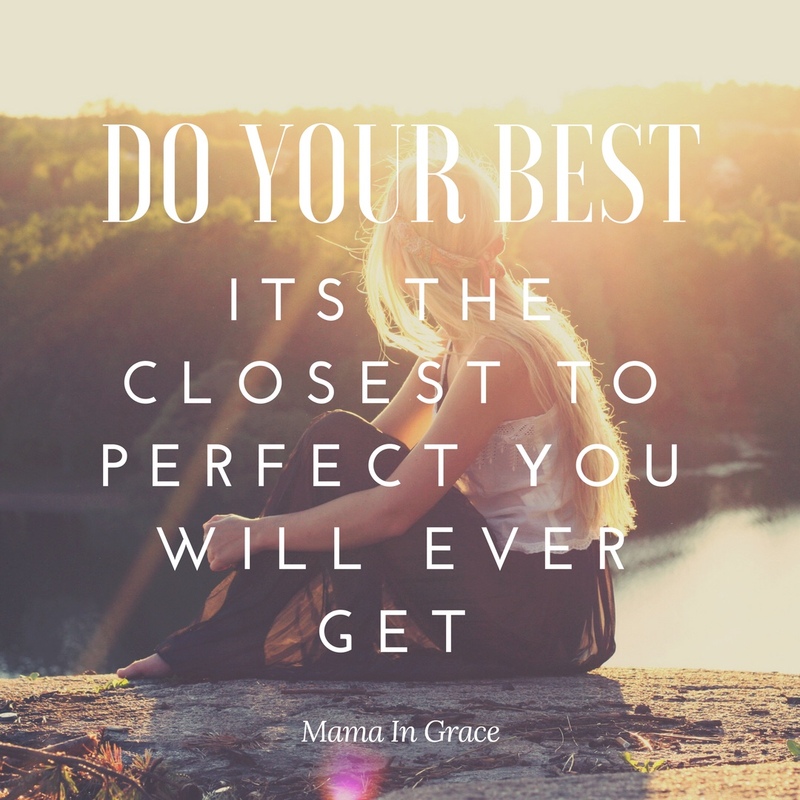 In my opinion, if you are doing the absolute best that you can do, and there’s no other physical way you can do better then that’s as perfect as it will ever get. The core of your true self is never lost. Let go of all the pretending and the becoming you’ve done just to belong. Curl up with your rawness and come home. You don’t have to find yourself; you just have to let yourself in.